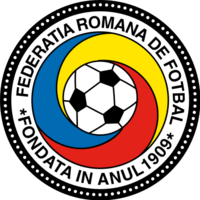 The Romanian Football Federation (FRF) (Romanian: Federația Română de Fotbal; FRF) is the governing body of football in Romania. It organizes the Romania national football team and most of the Romanian football competitions. It is based in the Romanian capital city of Bucharest. It has been affiliated to FIFA since 1923 and to UEFA since 1955. Wikimedia Commons has media related to Association football in Romania.